When you think about the idea of “blues”, it wouldn’t be surprising to think of sad or painful things. When it comes to the music genre, you’re not too far off. The grit and sound of blues have generally been associated with the feelings of melancholy or palpable emotion. Not to be confused with sad country music, this genre sparked a complete revolution for African-American history. The blues was believed to have started from the heart of the Deep South at around the 19th century. It was the culmination of the grand African-American musical traditions, worship songs, and other ballads. Each one has its own charm and appeal. Each one adds to the rich history and culture of Blues. What is the appeal of Blues? This is like asking “What’s the appeal of air to our lungs”. Kidding aside, Blues has a way of breaking barriers between people and bringing about raw and frank emotion of the performer. The pain, frustration, and heartbreak are almost palpable and as real as the clothes on your back. The way that the crooners belt their emotions and the way that guitarists stretch their chords are all ways that help the listener really sync with the performer. Blues has a way of expressing emotions that most people would prefer not to include in songs for the sake of sales. Blues is a triumph for all Americans, especially the African-American community. The way they morphed their trials and hardships into beautiful and melancholic melodies is something that will be hard to replicate and recreate. Every Blues player has their own style of playing, making Blues a truly diverse genre of music. It is truly a wonder way to express the deepest set of emotions a human can possess. 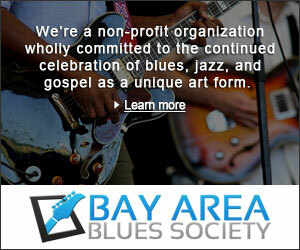 We at Bay Area Blues Society aim to provide a much needed platform for artists both old and new. 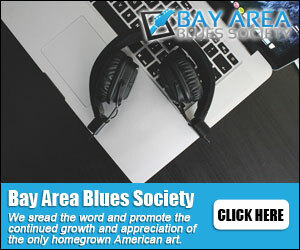 We make it our mission to reach out to communities and support the art of Blues no matter where it may be in the bay area. We aim to parlay our own personal knowledge of the histories and legends of the Blues world to empower future generations into chasing their own style and form in the world of blues. Join us as we provide articles about past and future events. We also provide profile highlights to some of the greatest Blues performers the world has ever seen. If you feel like you are struggling to find your own sound, don’t let that defeat you. Blues isn’t just one form or sound. The best artists have taken the old music and carved out their own path. If you believe you can help out, this is the page for you. What is a personal trainer? A person who’s educated and certified to assist others in getting healthy through cardiovascular conditioning, yoga, weight-lifting, aerobic exercise, or maybe some other health modality. They are called “personal” since they work with a prospect one on one. Who can make use of the service like a personal trainer in college station, you would be amazed! Personal trainers aren’t merely for all those with bottomless pockets, professional athletes, celebrities, or maybe bodybuilders. Personal trainers can also be for rockstars and ordinary people. Of course, they’ll probably cost you cash, unless they are covered under an insurance plan, but dealing with a trainer does not need to be a continual expense. A professional can show you how to exercise. He or she can demonstrate exercises and also have you follow along carefully. They can arrange an entire routine that is custom made for you, plus one that you can do even after the personal training sessions have ended. You can also discover you about fitness from authority, to gain information about your muscles, and body to do workouts so you will not get injured. Perhaps you have tried lifting weights before and then harm yourself? An expert trainer may be especially useful if you’ve medical issues. For instance, they’ll work with you in case you’ve arthritis or heart problems or maybe any variety of topics. When you start, make sure they’ve trained in dealing with issues such as yours. Sometimes the physician of yours can send you to a personal trainer that is skilled in exercise plans for the health problems you’ve. Some individuals require assistance getting started, while others need somebody to inspire them and keep them responsible for a short time. That is not a problem because an instructor can provide just what you would like. The thing to perform is to talk with a couple of trainers before you choose one and search for a perfect fight. In case you are confused, timid, plus do not know where you can begin, a trainer that barks orders such as a drill sergeant is most likely not the proper match. 1. Are they going to train you at the home of yours, the studio of theirs, or perhaps at a gym? Some professionals are connected with great gyms. They have gone through the training program of theirs and are allowed to work with all of the materials at the gym. This may or wouldn’t do the job for you, based on your desires and circumstances. 2. Your trainer should consult with you what you wish to attain from the coaching sessions. Essentially, it’s about you… not them. 3. They must be nationally accredited as a personal trainer. Just how much experience do they’ve training folks? Do they have referrals you can contact? 4. Do they have liability insurance? If personal training is the job of theirs and not merely a hobby, they’ll likely have insurance. Do check though. 5. Do your personalities appear to mesh? In case you are at all uncomfortable with the trainer, then select a unique body. A personal trainer should produce a fitness plan for you based on the place you presently are and the place you wish to go. He or maybe she could be extremely handy in case you’ve health problems, do not understand how to work out and need encouragement and inspiration. Finally, dealing with a personal trainer could sometimes be long term or short term, plus you do not need to be a sports rock star to employ one! In case you’re searching for an instrument which is a lot different but continues to be immensely fun to play next among the best instruments may be the piano with all its many styles. The piano is among the most endearing and preferred tools of all the time and understands everything about playing jazz piano offers several players with the limitless amount of fun and numerous important challenges. Whether it is in order to have family and friends with a distinctive form of playing or maybe to enroll in a band or perhaps ensemble, having the ability to provide piano improvisation makes sure that this kind of playing is a single which is attractive to many.This isn’t your typical piano lessons in las vegas but less structured. Which means that whether jazz piano chords are everything you study first or maybe you focus on developing melodies, you will find a lot of great choices to have the first steps of yours into the realm of jazz piano and all it requires. Although there continues to be a resurgence in the acceptance of jazz in the recent past, along with numerous important artists of styles that are different are already noted to present a jazz style or maybe motif to the songs of theirs, this particular music type may well not be at the upper part of the charts. This causes a greater need for musicians who could perform jazz which makes it a helpful ability for musicians to possess and learning how to enjoy jazz piano can hold any budding musician hectic. A significant reason why a lot of individuals have a fondness of jazz is because of the method in which it is able to get it change its speed or style significantly and isn’t as caught in a conventional design as other musical styles. Those who don’t love to be constrained or even linked with a generic style love the independence that jazz provides plus piano improvisation is a skill that’s tremendously admired by a lot of fans of the design. Jazz is starting to be progressively more common, and also whether it’s being played live in a jazz club or perhaps for a Cd at home, jazz music is able to bring folks together. A great deal of this’s done to jazz piano chords as well as the spirit and power they bring to songs. The concept of any jazz club conjures up images of a bye gone era when awesome folks came together in small subterranean clubs to talk about the music they loved with individuals that held identical passions. Although lovers of this particular genre actually are immensely proud and pumped up about one of music offered, jazz might not belong to the mainstream like several musical types. This helps make understanding how you can enjoy jazz piano an immensely enjoyable pastime for individuals to have. One of the greatest points about jazz music is that everybody is able to engage in and make the style of theirs or even have a specific form of music which can satisfy a lot of folks. There are numerous tools which could come together to create an excellent piece of jazz music, but 1 of most crucial will be the piano. What this means is that piano improvisation abilities are a crucial component of any jazz musician or maybe bands arsenal which is able to include an excellent touch to any item of jazz music. It does not matter what kind of jazz will be your preferred to enjoy or maybe your favorite to play, the choices for making great jazz are practically endless and also mastering the strategies of jazz is able to enable you to produce great art forms. What this means is that creating a solid understanding of jazz piano chords is an excellent method to enhance the ability of yours to create decent jazz music. If you have never heard of Oakland’s annual Art & Soul Festival, you are most definitely missing out. As it’s incoming again this year, we’ve decided to build a handy guide that you can use. What is Art and Soul Oakland? It is an annual summer festival that brings the community together. Started in 2001, it had the goal of suitably celebrating the grand style, spirit, and soul that the area is famous for. Today, it is one of the largest celebrations of art, music, food, and community camaraderie. Usually taking up a full weekend, it brings together various music genres under one roof. When and where is Art and Soul Oakland 2017? This year, it’ll be held on August 19 and August 20. It’ll start at noon and end at six in the evening. Try to follow your feet to downtown Oakland and you’ll find a 10-block area with Frank H. Ogawa Plaza at its heart. You have the choice of entering from any of three locations: 14th Street & Broadway, Promenade alongside City Center West Garage, and San Pablo Avenue. Ticket prices are sold right at the entrances. The prices are $12 for adults and $7 for senior citizens and those under 17 but older than 13. The festival is free for anyone under the age of twelve. Are there any Blues performers of note? On a general sense, all the blues performers that will showcase their talents at the festival are noteworthy. However, there is a lineup available for your perusal here. There is more than one stage so there are a significant number of artists that get to perform during the festival. We’re looking forward to Goapele’s 4:30 performance at the main stage on the first day of the festival. If you don’t know who this talented gift to soul is, you should definitely try to catch her performance on stage. On the next day, you can catch Angie Stone at the same time slot. A Grammy-nominated singer, she deserves every moment of your attention and subsequent adoration. Art and Soul has a lot of activities for various age groups. For the kiddies, there are a lot of arts, rides, and other activities that are organized by local groups. A marketplace shall be available for the lovers of art and specialized crafts. Local artists have an annual project that incorporates the efforts of guests to form a large mural. Other than the art, the food is something to definitely look forward to! The food vendors take great pride in providing fares that sample international wares. You can travel the whole culinary world and stay exactly where you are. If you’re aiming to truly taste the culture of the bay area, be prepared to sample beer, wine, and several other types of beverages will be made available. Art and Soul Festival endeavors to be eco-friendly. As such, all vendors shall be using recyclable flatware. If you have any other questions, do send us a message and we’ll be glad to help you! Very little is known about Seasick Steve. Most people may not even know his name. Today, we take a closer look at one of Oakland CA’s blues champions. Born as Steven Gene Wold, he is commonly known as Seasick Steve. He is also a rather talented American blues musician. When Steve was young, his father played boogie-woogie (a popular offshoot of Blues) on piano. As much as Seasick Steve would have loved to learn the same craft, he was not able to do so. He thought that maybe he didn’t have the talent or the aptitude to play. However, that impression changed when a worker in his grandfather’s garage taught him the guitar. This worker was no one else than the very talented K. C. Douglas. This was when the young Steve would realize that he did have an affinity for Blues—just not with the same instrument as his father. In his teens, he left home to escape an abusive stepfather. It is this time of his life that he credits for most of his passion and inspiration for Blues and his latter songs. He lived on the road until the latter part of 1973. He travelled by sneaking unto freight trains and survived by taking odd jobs all over the country. It was probably these experiences that fueled much of his material. It was around the 60s that Steve had begun to really practice his music. He toured and performed with some other blues musicians. Most of his time was spent in San Francisco, a city with a large Blues following. It was not until 2001 that he released his first ever album entitled “Cheap”. The album was recorded in Norway and had The Level Devils as his rhythm support, Jo Husmo on bass, and Kai Christoffersen on the drums. His solo album did not grace the world until 2006. It was on a New Year’s Eve BBC TV 20016 special that truly helped to launch Seasick Steve’s career. He had performed a live version of “Dog House Boogie”. It was only after this show that his popularity truly came around. He was generally well-liked in the UK and even won the 2007 MOJO Award for Best Breakthrough Act. Following that, he went on to perform in large UK festivals. The following year, he kicked off a massive UK tour schedule. Continuing his initial success in the UK, all of his tours were sold out. To this day, he enjoys success in the UK. Arguably, the most well-known of Seasick Steve’s equipment is his trusty old guitar named The Three-String Trance Wonder. While there are many versions of the tale about how this guitar came into his possession, there is no doubt that it is his most iconic possession. Seasick Steve is still in the United Kingdom. While it may be a little odd that he has yet to return to the USA for long-term durations, it does not stop him from being one of Oakland’s beloved blues figures.